This is a wonderfull gift for us Nokia fanboys, a truly ultimate Symbian Doom port that has EVERYTHING and lacks nothing :) Thank you! Thank you for this wonderful port! I just got one question: how can i play custom wads or what we say, iwads? And another one: can you please port doukutsu monogatari (cave story) for symbian? Also, AG, have you heard of Knytt and Knytt Stories games? The latter one has a tons and tons fanmade "stories" runnable through the main game and it has a source code available for the DS version (not made by the author), please, tell what you think! Yeah, but where should i place the iWADs so that when i select add WADs from chocosetup, it loads it? And do you know how should i load them for single-player action? You place them in E:\ChocolateDoom\ folder, and now I do - in ChocoSetup (for the Doom section) press Spacebar or Right Softkey to enter Warp menu and when in the warp menu press [W], and there ya go. PrisonPlanet I did all what you write, but I don't know what do after that... I tried name with extension (for example doom 2.wad) and without extension (for example doom), but nothing work. Hi, wow, really nice work. Finally I have one solution for Doom 1,2, Heretic, Hexen, ... on E65. 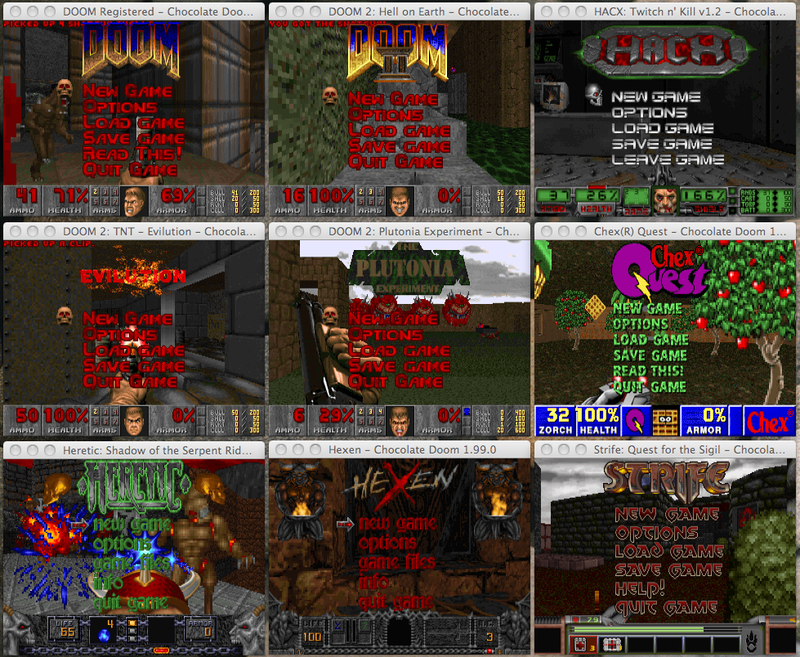 Chocolate Doom has a lot of settings and optimal keyboard configuration. Original DOS style is nice too. Everything works fast. C2Doom goes out from my phone, because besides other things, isn't possible to play the fourth episode of Doom 1 and isn't so good like Chocolate Doom. Even cheats working :-). Just change the control into text mode and you can enter any cheat. For example IDKFA: Type the letter "I", then wait a moment until "I" isn't active, then letter "D" in the same way and so on. Time for waiting is the same like quit game by typing "Y". Thank you for another great S60 port! You can use DosBox S60 and C2Doom together. Is needed to delete SDL instalation form .sisx C2Doom installation. I used SISWare for this. It's only tip, but now loses meaning :). Great!Umm...I have a question: is it possible to port ZDOOM to symbian? Thanks! But can you add iwad chooser? I can launch it through setup>warp>wad but list is empty and i need to write every time d.wad or something. Very unuseful because keyboard mapping is incorrect (Nokia e72 with QWERTY). 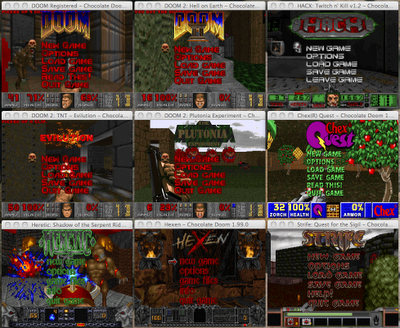 Renaming megawad to doom2.wad works only one time for some reason, second time program hangs on main screen. Hello, Question: you can make one port for Strife ...SSTRIFE? Like HHERETIC, HHEXEN...chocolatedoom is good but Strife is LAG, and have bad ugly 16bit midi synth. Thank you for your excellent S603rd work. That's impossible, the people behind Strife lost their source code and the only way to emulate it is either through remaking the game from scratch, or through reverse engineering (which is basically ChocolateDoom's purpose).. Sorry, but i want to say that new version of chocolate DOOM is bad build. No music. Shrinking algoritm is bad, setup can't be read with 320x240 resolution. Nokia e72. Iwads in warp dialog still not listed. Hello and thanks for your effort, but it's not playable on symbian Belle fp2 (Nokia 808). I does start but the frame rate is about 1 or 2 fps. Do you have any idea what must be the issue? This is amazing, beautiful work AnotherGuest! Plays wonderfully on my Nokia E90. If only it could stretch to 800 pixels wide instead of 640, and all your other apps as well :) Thank you for this!